The restoration of Donald Campbell’s record-breaking hydroplane, Bluebird, is complete thanks to AkzoNobel and its marine brand, International, which supplied the project with Perfection Pro paint in the vessel’s original shade of blue. “We spent 10 years being supplied with samples of nearly, but not-quite versions of Bluebird blue, RAL 5009, however it wasn’t until we uncorked our tins of Perfection Pro that we actually clapped eyes on her true colour. Now that was impressive,” said Bluebird restoration project leader, Bill Smith. Bluebird crashed on Coniston Water in 1967. Decades later, diver and enthusiast Smith took a keen interest in the story and conducted extensive searches over a period of four years. He located and salvaged the wreckage in 2001. Together with a team of volunteers, Smith restored Bluebird at a workshop in the northeast of England. The hydroplane was blasted and coated with AkzoNobel’s International Interzinc 72 protective coating and Interpon 610 TGIC-free polyester powder coating. The bodywork was rebuilt and completed using Cromadex 903 Etch Primer, Cromadex 750 Grey Primer and International Perfection Pro yacht topcoat. 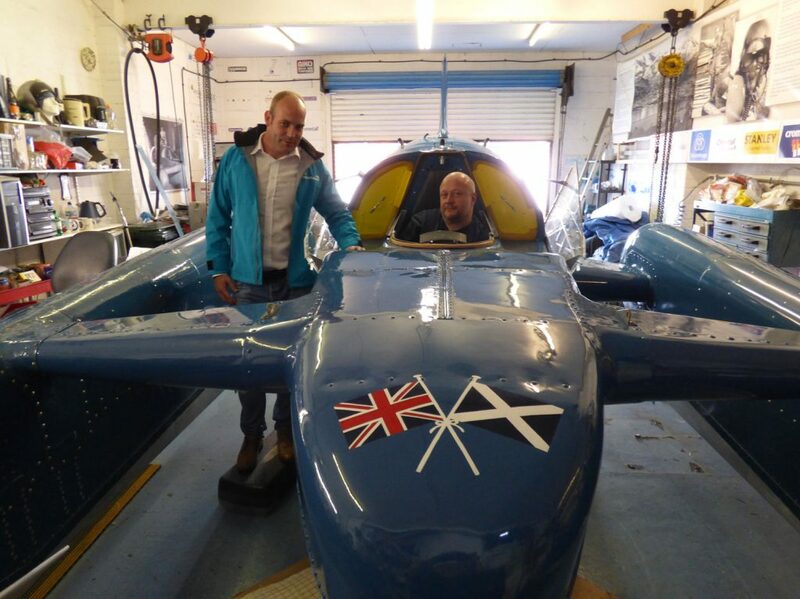 Fifty years after Campbell died trying to break his own water speed record, Bluebird is making a return to the water this UK summer. The hydroplane will be taken to Loch Fad on the Isle of Bute in Scotland for personnel training in launching, landing, lifting, and piloting, as well as to check for hull leaks. Eventually the team hopes to display the boat at speed on Coniston Water in the Lake District.